The Hypnotist Thief? Was It Actually Hypnosis Used? Or Was It Lazy Sensationalist Journalism? If you read my weekly Adam Up ezine, you’ll have read this article, but such has been the response to it that I thought I’d copy it on to the blog here for you to have a look if you have not done already…. This week’s edition of Adam Up though, is dedicated to one particular story that has been making the headlines here in the UK. All about a man who stole the wallet and money from a shopkeeper – using hypnosis. Most major newspapers in the UK have given this story some coverage and they are all fairly similar in how they cover the story. I have been asked about it so much that I thought I’d offer my thoughts in this week’s Adam Up. Indeed, referring to hypnosis as involving a “trance” actually appears to make people less hypnotisable. It may foster anxiety about loss of control and encourage subjects to adopt an overly-passive “wait and see” attitude. By contrast, researchers have generally found that subjects who actively imagine the things being suggested tend to respond better to hypnosis. For example, Lynn and his colleagues found that when participants in an experimental study were told that it was necessary to enter “trance” to respond to hypnotic suggestions, they became less suggestible instead of more so. So back to the Telegraph’s article…. I would hasten to add that Derren Brown is an entertainer who creates stunts and does tricks and there is a lot of production and preparation involved in creating the impressive hypnosis effects seen on his television shows. All of which he does incredibly well, but is entertainment and involves less of the more academic explanation of what hypnosis actually is. So for the Telegraph to frame the crime as ‘Derren Brown style hypnosis’ seems a bit unusual to the likes of me. The Telegraph just assumes hypnosis is being used. I think this is incredibly lazy journalism. I have watched the video of the theft on a number of occasions and am unsure what on earth would lead anyone to believe that hypnosis was being used here at all, despite the Telegraph referring to the entire event as a ‘bizarre hypnosis raid’ – why are you calling it that? The Telegraph firstly state that the their entered the shop and placed a bottle on the shelf. No hypnosis there. Then they state that the thief tapped the shopkeeper on the shelf. Again, nothing to do with hypnosis. No hypnosis there. Then they state that the thief raises his right fist and shakes it in front of the shopkeeper. No hypnosis there. Although the Telegraph claim that this left him ‘mesmerised’ – mesmerism is not really anything do with hypnosis, but I get the link they are making. The thief then reaches into the shopkeepers pockets, takes his wallet and squeezes the shopkeepers shoulder. He then walks out. Where is the hypnosis there? The thief does make some other miming gestures while pointing at his tummy, but again, I fail to see how this is anything to do with hypnosis. What cracks me up is that a friend of the shopkeeper is quoted as saying “We had no idea Aziz had been hypnotised” – well exactly, because he most likely was not hypnotised. Look into my eyes: Incredible moment thief appears to HYPNOTISE shopkeeper before rifling through his pockets while he is in a trance. They still refer to ‘trance’ and then refer to the shopkeeper who “falls into what appears to be a trance-like state”- which is not really what hypnosis is, ‘trance’ and ‘hypnosis’ are not synonymous. Oooookaaaayy…. Sooooo, if he had experienced hypnosis before, he would know what hypnosis was like and would be able to say without doubt, “I was hypnotised” but he says that he is not sure, so he clearly has not been hypnotised before. If he has not been hypnotised before, how does he know that what went on in his shop was anything to do with hypnosis? It is perhaps how he might imagine hypnosis to be based on popular myth and misconception. Hypnosis is collaborative. It is a cognitive skill. You must actively participate in it. You are not a wholly passive recipient of it. it is not done TO you. It is not done ON you. In fact there are much better ways of getting people to do things they do not want to do than using hypnosis. Most thieves use fear and threats of violence to take money from shops, which definitely alters the mindset of the shopkeeper. ‘I was thinking, what should I give to him? Maybe he wanted water, tonic water? He was shocked, he was slightly confused, he was distracted…. Ok, some of these elements might be considered hypnotic in some quarters… But it is tenuous at best to say hypnosis was somehow being wielded to commit a crime. The thief also acted totally usually and was calm, he assumed the outcome, which could be angled as a hypnotic behaviour and quality (a la Clark Hull, 1993) and he clearly had a degree of expectation, which again could be attributed to the hypnotic theory. But the shopkeeper had no expectation about it and that is how expectation is explained in hypnosis, that the recipient had expectation. One of the other clips on the Daily Mail page is titled “Police Baffled at thief who apparently ‘hypnotised’ victim – to me, there is very little that is apparent to suggest hypnosis, but I appreciate them putting the word in in quotation marks. And this is the point, isn’t it? The word hypnosis builds intrigue, gets readers interested, and sensationalises the story… But at what cost? It perpetuates popular nonsense, myth and misconception about the field of hypnosis and what it is really about. Some might argue that there is no such thing as bad publicity for the field of hypnosis, and it’ll enhance the perception that people know it to be powerful, but I think that is fairly weak too. It misleads and creates a false impression that in my opinion puts as many people off what we do than actually promotes our field. These are my thoughts, do go and look at the clip if you’ve not already seen it, let me know if you disagree or have a different take on the story. I think the sensationalist use of the word ‘hypnosis’ is what really makes this story grab headlines. I will be back next week. Watching talented street hypnotists/pickpockets like James Brown makes you realise how easily our minds can be fooled by focused attention or distraction. 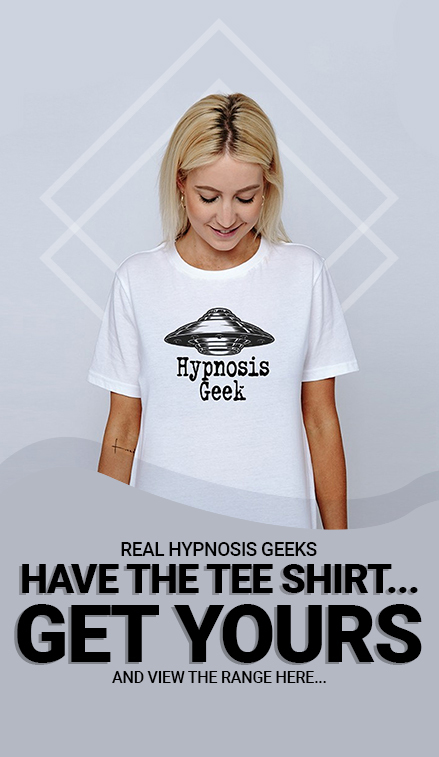 Unfortunately this also leads to the mixing of genres, hypnosis being always portrayed in tandem with magic does not help the cause of hypnotherapy. I wish my blog had a ‘Like’ button Marc, because I thoroughly enjoyed reading that well-considered comment. Thank you very much indeed. I personally think, as mentioned it was a load of sensationalized drama a few choice words by the shop keeper… I felt I was in a trance… boom, its Hypnosis… a clear few deluded folk out there set out to tarnish a very reputable and safe technique.